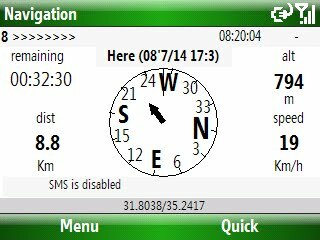 ReliRescue freeware for smartphone, Windows mobile phone free downloads. ReliRescue enables your Windows Mobile Phone to broadcast your location to designated partners (over SMS or email). Your location is obtained using Integrated or external (Bluetooth) GPS connected to your device. This utility also enables any Windows Mobile platform to feed the broadcasted waypoints to track and locate the sender. I use this utility to broadcast my location during Hang Gliding activities to a ground personal (Reli - the software is named after you...). Would not display on my blackbErry 8530 curve. Karin,I have the same problem with reicurrng meetings on my AT&T Tilt. Changes to individual occurrences of a reicurrng meeting are never reflected on the Tilt and most of the time are changed back on my PC. This is annoying and has caused major problems in my work. Does anyone know if Microsoft is working on this problem?